A child at a Christian school was studying the early days of Mormonism in his class. 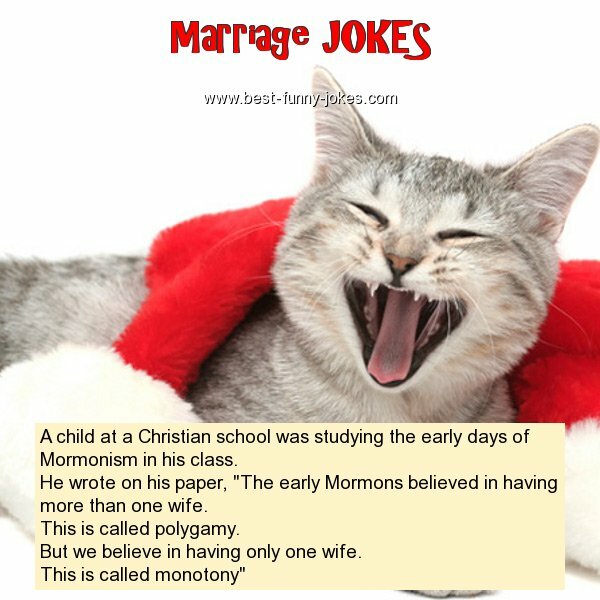 He wrote on his paper, "The early Mormons believed in having more than one wife. But we believe in having only one wife.